25 Easy Ways: How to Lose Weight in 2 Months – Up To 40 Pounds? 25 Easy Ways: How to Lose Weight In 2 Months – Up To 40 Pounds? It is never too late to achieve the kind of body you’ve always wanted. If there’s an important event coming up in no time, you may wish to know how to lose 40 pounds in 2 months. Losing 40 pounds within 8 weeks will help you in reaching your desired body shape. Also, you would get into your dress size. But is it possible to lose weight in 2 months up to 40 pounds? Well, it is. You just need to follow the steps. How to lose weight in 2 months – Up To 40 Pounds? First of all, you need to commit yourself to the goal. You need to be concentrated, just telling yourself won’t work. To achieve your goal, you need to sacrifice some things. You need to cut out the word lazy from your dictionary if you wish to lose 40 pounds in 2 months. Like, instead of taking an elevator, walk up the stairs. Instead of wheeling on the chair to move from one corner to the other, get up and walk towards it. You need to stop being lazy to cut down the pounds. Go in for a standing desk, do push-ups of jumping jacks in between the commercials while watching movies or shows. All you need to do is, get yourselves up and start moving. You will burn more calories if you are more active. A healthy lifestyle can help you in losing weight at a faster rate. It will build up the muscles while you reduce weight. As you want to lose 40 pounds in 2 weeks, you need to involve yourself in a moderate intensity workout of 150 minutes for some days in the week. You can also Indulge into strength training, thrice a week to build up the lean muscle. A key to lose 40 pounds in 2 months is to start yoga. It will guide you to a healthy and better lifestyle. All you need to do is, take a deep breath and relax. This will keep you fit and aid in losing weight. As per Stress.org, stress can lead to abdominal fat and other problems. So, take up your yoga mat and start with a little yoga. This will help you to get closer to your fitness goal. Eventually, you will be less stressed and more relaxed. Both fruits and vegetables can help you to lose weight. These are very healthy. Fruits and vegetables are not only high in water but also highly nutritious and contain fiber. The energy density is usually quite low. It is for this reason that you can eat bigger servings without having to eat a lot of calories. Some studies have shown that people who eat fruits and vegetables have very less weight. Refined carbs do not contain many of the essential nutrients and fibers as they are removed. Due to the refining process, only digested carbs are left behind. This causes the increase in the risk of overeating as well as diseases. Some of the essential ingredients which contain refined carbs are white flour, white bread, sodas, pastries, pizzas, sweets, snacks, white rice, pasta, added sugar and breakfast cereals. Sugary soft drinks, chocolate milk, lime juices and other energy drinks are some sources of the liquid calories. These are unhealthy and can lead to obesity. As per a study, children who consumed servings of sugar-sweetened drinks were at a 60% increased risk leading to obesity. However, the brain does not count upon the liquid calories in the same manner as that of the solid calories. Therefore, you can add some of it to your food. Water is an important part of our daily life. It is also very beneficial when it comes to weight loss. As per research in Germany, drinking sufficient water every day can increase the rate of burning calories. Drinking water will keep your body cool too. Therefore, water can be helpful in burning up the calories as it will regulate the body temperature. It also reduces appetite by keeping you full. Water can be also beneficial for flushing out the toxins from the body. It is suggested by experts to drink 8 glasses of water daily. Following this will help you to lose weight at a faster rate. 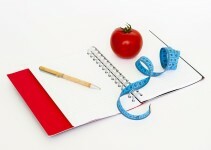 If you are aware of what you are eating you may be able to lose weight. There are several steps by which you can do this. Keep a check on your calorie intake. Maintain your food diary and make sure to take pictures of everything you eat. 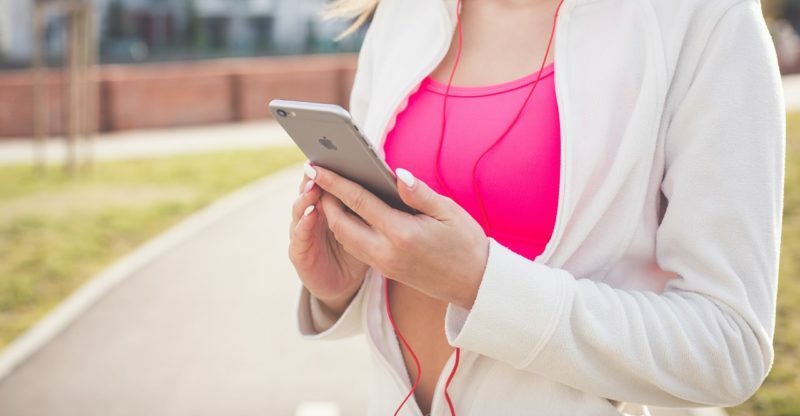 You can even use an app or other electronic tools to keep a check on your calories. This will even be better than maintaining a food journal. You can know how to lose 40 pounds in just 2 months by fasting intermittently. This is a regular pattern of a regular period between eating and fasting. You can follow the intermittent fasting by a few steps. You can choose the 5:2 diet, 16:8 method or even eat-stop-eat method for intermittent fasting. With the help of this method, you will consume fewer calories, without even keeping a check on how much calories you are eating. Not only these helps you in getting closer to your weight loss goals, but intermittent fasting has some health benefits too. If you are looking for ways to reduce your weight from a particular spot of the body, it won’t work. You need to choose to reduce your overall weight rather than reducing from one area. Reducing fats from a specific area doesn’t work. Instead of banging the gym and trying to reduce fat from one area, use the time and involved in high-intensity interval training. You can even mix up the lifting routine. This will help you to lose the fat and reach your goal. Glucomannan is an essential weight loss pill that can help you to lose weight. This is obtained from the roots of the konjac plant also called elephant yam. The dietary fiber is natural and soluble in water. It contains fewer calories and fills up the stomach. It also delays the emptying of the stomach. Glucomannan also helps to lower the protein and fat absorption and acts as food for the helpful gut bacteria. 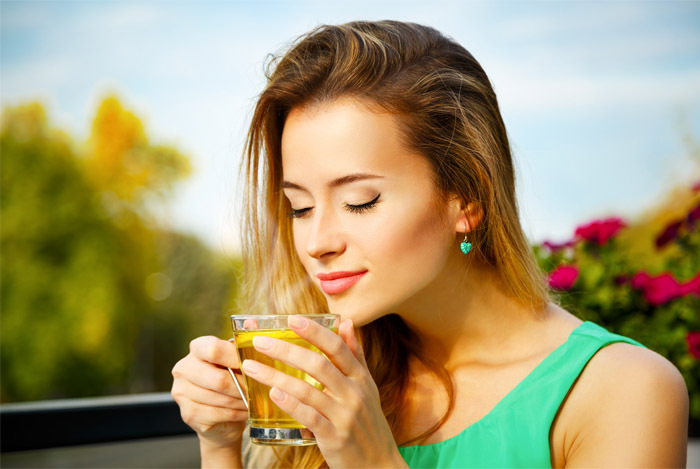 It can effectively absorb water and help to lose weight. One capsule of glucomannan can convert a glass of water into a gel. You should brush your teeth when you are done eating as it reduces the craving to eat more after the meals. This is so because most of the people don’t usually have the craving to eat once they’ve brushed their teeth. It also makes the food taste bad. So, if you brush your teeth after the meals, you will crave less to munch into the unhealthy snacks. Studies have claimed that a low carb diet can help you to lose weight. Restricting your carb intake and consuming more fats and proteins can cut down your appetite, thereby helping you to eat few calories. This will help you to lose weight at a 3 times faster rate compared to that of a standard low-fat diet. It can also prevent you from the risk factors of some diseases. A heavy and healthy breakfast keeps your metabolism high. This helps your body to burn up the extra calories all throughout the day. It will keep your energy levels high even in the later parts of the day, without the low feeling. It also prevents the risk of unconscious eating. If you skip your breakfast, you are at a higher risk of indulging in unhealthy snacks. If you are planning for a healthy lifestyle, you need to skip eating out in restaurants. These foods may be high in calories. Prefer eating home-cooked meals as it will help you maintain a healthy lifestyle. It will keep your portion in control too. And also, you’ll be knowing that you’ll be eating the good quality food. Eating fast can lead you to consume too much of calories until your body realizes that you’re full. People who eat at a faster rate, tend to become obese. However, this is not the same as the slow eaters. If you chew your food slowly, you will be consuming fewer calories. It will also enhance the production of hormones that are associated with weight loss. Getting rid of the sugar tooth is one of the toughest jobs. The more you get into it, the more will you crave for it. However, you should be aware that sugar as well its products can speed up the weight gain. So, if you’re are trying to lose weight, skip the sugar. Applesauce and so on. If you are willing to lose 40 pounds in two months, you need to give up sugar. It will aid in losing weight in a much shorter time. Lack of sleep can increase stress, thereby triggering the chances of overeating. It also increases the appetite and has an impact on the metabolism. You should try to get 7 hours of sleep every day. If you have to get to work earlier, you should develop the habit of getting to bed earlier. If you want to know how to lose 40 pounds in 2 months, you must try and add spices to your meals. A spiced meal has an important role in fat burn. Capsaicin can help in boosting up the metabolism and increase the rate of burning up the fats. Some of the great sources of capsaicin compound are jalapenos and chili peppers. The capsaicin found in these chili peppers may also help in suppressing the appetite and reducing your calorie intake. Many fitness communities can help you to achieve your goal. They often organize the weight loss programs and motivate people so that they can achieve their goal. They can also help you with food choices. They will also know about your weight loss journey through you and motivate you to push further and achieve the desired weight. Instead of driving to places, chose to walk. This will help you to burn more calories. Set out for a nice morning walk. Take out some time with the family and walk to the nearest park, instead of driving. This will save up your money on the gases and also help you to stay fit and have a healthy lifestyle. Eggs can also be termed as one of the beneficial weight loss foods. Not only eggs are low in calories, but it is also rich in proteins and loaded with a variety of nutrients. You can get them in the market for a cheap rate. Foods rich in protein can help in suppressing appetite and keeping you full for a longer time, compared the foods low in proteins. Eating eggs for breakfast instead of bagels can help to lose 65% of more weight in 8 weeks. They also help you in consuming fewer calories in the day. Cardiovascular exercises are great. You should prefer to add some of them such as jogging, cycling, running, and power walking in your day to day routine. It can also help in reducing the risk factors related to cardiovascular diseases. Cardio exercise also aids in losing weight. Cardio exercise is prominently helpful for reducing the stubborn belly fat. Belly fat occurs around the organs and leads to an increased risk of the metabolic diseases. You may lose your muscle mass due to dieting. Losing a lot of muscle mass would imply that your body will burn very fewer calories. Therefore, you can regain your muscle mass by lifting weights frequently. Not only will you feel better, even your appearance would be affected due to muscle mass. Though it appears to be tough, it would no longer be tough if you commit to it. To lose 40 pounds in 2 months, you need to determine and focused to achieve your goal. Altogether, you would need to sacrifice some things to get rid of your extra body fat. Now that you know the steps on how to lose weight in 2 months – Up To 40 Pounds, I’m sure you would be able to get rid of it. Kick yourself up, get going and achieve the body you always desired for, This definitely will help you a lot to look confident.